The company was founded in 1970 by Tom and Margaret Johnson in Minneapolis. The company was primarily focused on supplying the signage industry products for vacuum forming. The Johnsons quickly grew both the company and its product offerings to include engraving sheet stock and items for the awards and personalization markets. Premier material and equipment supplier for awards, engraving and signage professionals. In 2002, Johnson Plastics added sublimation to its product lineup. Realizing the popularity of sublimation technology, the Johnsons committed to becoming one of the premier suppliers to the industry. 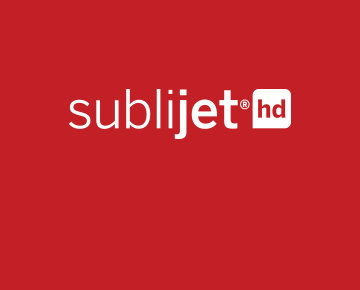 They added sublimation experts to their staff to help customers with technical issues and to support their full line of sublimation products, including printers and inks from Sawgrass Technologies. That commitment continues to this day, with sublimation customer support being a key focus of the company. In 2015, Johnson Plastics was purchased by Rowmark, then merged with Bur-Lane Industries and LaserBits, Inc. to form Johnson Plastics Plus. The merger resulted in multiple operational efficiencies that had a direct, positive impact on the customer experience. The addition of multiple distribution locations to the business allows Johnson Plastics Plus to better serve customers throughout the United States. In addition to its home office in the Minneapolis suburb of Burnsville, Minnesota, Johnson Plastics Plus also has facilities in Sacramento, California; Dallas, Texas; Columbus, Ohio; Atlanta, Georgia; Chicago, Illinois; Oklahoma City, Oklahoma; Phoenix, Arizona; and Albany, New York. Several Johnson Plastics Plus facilities feature Color Centers, where customers can participate in hands-on demonstrations of new products and technologies before they buy. In addition, the company hosts webinars and seminars at these locations throughout the year. Finally, you can always find Johnson Plastics Plus at industry trade shows throughout the year. In 2018, Johnson Plastics Plus exhibited at more than 30 shows across the country. No matter where you are in the continental U.S., Johnson Plastics Plus has a location ready to get you everything you need, when you need it. Johnson Plastics Plus prides itself on providing high-quality support during and after the sale. They have professionals on-staff who can help get a new printer up and running, as well as help troubleshoot any issues that may arise. For our sublimation customers, Johnson Plastics Plus prides itself on providing high-quality support during and after the sale. They have professionals on-staff who can help get a new printer up and running, as well as help troubleshoot any issues that may arise. They also have a dedicated team of product specialists who are constantly sourcing new products to keep customers on the forefront of industry and consumer trends. Johnson Plastics Plus has a focus on the processes and equipment to help customers grow their business. In addition to being a premier supplier in the engraving and sublimation markets, the company has invested heavily in its website, www.jpplus.com. The site features state-of-the-art predictive product search, enhanced checkout process with shipping and on-site pickup options, and visible volume discounts for registered users. In addition, there is available real-time customer service chat as well as product template downloads and technical help. All told, Johnson Plastics Plus offers more than 9,000 products available at jpplus.com. Johnson Plastics Plus is committed to supporting customers before, during and after the sale. There are technical help documents, product templates, and detailed product specifications available at jpplus.com. Customer service can be reached via the “Live Chat” feature on the site as well as by email at customerserivce@jpplus.com or phone at 800-869-7800.